Classic Building and Construction Inc.
Our goal is to connect people with the best local experts. We scored handymen on more than 25 variables across five categories, and analysed the results to give you a hand-picked list of the best handymen in Seattle, WA. Family-owned and operated American Standard General Construction, LLC is a Bothell general contractor specializing in commercial building maintenance, residential remodeling, and repair services. Services include commercial tenant improvements, carpentry, painting, fence and gate repair, electrical, plumbing, painting, additions, kitchen and bath remodels, framing, drywall, and general handyman services. American Standard General Construction, LLC has been screened and approved by HomeAdvisor and earned the distinction of an Elite Service. AmyWorks has been serving the Greater Seattle Area since 2010. Services include home maintenance and repair services, workshops, and practical problem solving. The team at AmyWorks has more than 30 years of experience and has earned the Angie’s List Super Service Award five years in a row. Belanich Builders & Remodeling Home Services is a family-owned and operated general contracting company serving residents in the Seattle area. The team’s areas of expertise include drywall installation and repair, window replacement, wall removal, additions and dormers, rental property maintenance, concrete patios and walkways, addition and alteration, and more. Belanich Builders & Remodeling Home Services has a team with more than two decades of experience and is licensed, bonded, and insured. Bob’s Fix-It is an Auburn handyman service that has served South King County for more than 30 years. Bob Hubley, the owner and operator, is a licensed contractor who specializes in repairs for homeowners, businesses, and property managers. Additional services include plumbing repairs, electrical repairs, carpentry repairs, home management, and more. John Pierce, the owner and operator of Capitol Hill Handyman, has more than 25 years of professional experience. John specializes in small tasks such as picture hanging, furniture assembly, and wall and ceiling repair, as well as larger projects such as tile installation, window replacement, hardware installation, and demolition. Capitol Hill Handyman provides free estimates, offers online scheduling, and serves the entire Seattle Metro area. For more than 20 years, Classic Building and Construction Inc. has provided general construction and handyman services to residents and businesses in the greater Seattle area. Services include remodels, additions, custom interior trims/mantels, decks and arbors, sunrooms, bathrooms, kitchens, and more. Classic Building and Construction Inc. has been screened and approved by HomeAdvisor. Founded in 2004, Dale’s Helping Hands is a Seattle handyman services company that specializes in building management and home repair. Some of the services the team provides include drywall repair, plumbing repair, deck repair, tile repair, basic carpentry, painting, pressure washing, window and door replacements, and more. The team at Dale’s Helping Hands is licensed, bonded, and insured and offers a 24-hour emergency service. F&R Property Enhancements is a licensed and bonded handyman services company catering to the Greater Seattle Area. The team’s areas of expertise include retaining walls, window and gutter cleaning, yard cleanups, light plumbing work, light electrical work, decks, flooring, tile installation, and more. F&R Property Enhancements offers free estimates and after hours emergency repair services. Good Help Now is a Seattle handyman, maintenance, and construction services company founded in 2010. Services include remodels, plumbing, carpentry, rodent control, landscaping maintenance, drywall, painting, roof and gutter service and cleaning, demolition work, and more. Good Help Now is licensed, bonded, and insured. Handy Andy the Handyman is a family-owned and operated Kirkland handyman service with more than 30 years of experience. The team provides custom carpentry, interior and exterior painting, masonry, furniture assembly, minor electrical work, minor plumbing work, flooring, troubleshooting, countertops and cabinets, drywall repair, fencing, and more. Handy Andy the Handyman is licensed, bonded, and insured and is accredited by the Better Business Bureau. HD Construction is a general contracting company owned and operated by Barry Gibbons. Barry is a licensed, insured, and bonded general contractor and a trained artist with a B.A. in ceramics. HD Construction specializes in kitchen and bath remodels, general maintenance, handyman services, garden paths, art projects, sheds, and more. Home Worx is a licensed, bonded, and insured Seattle handyman services company. 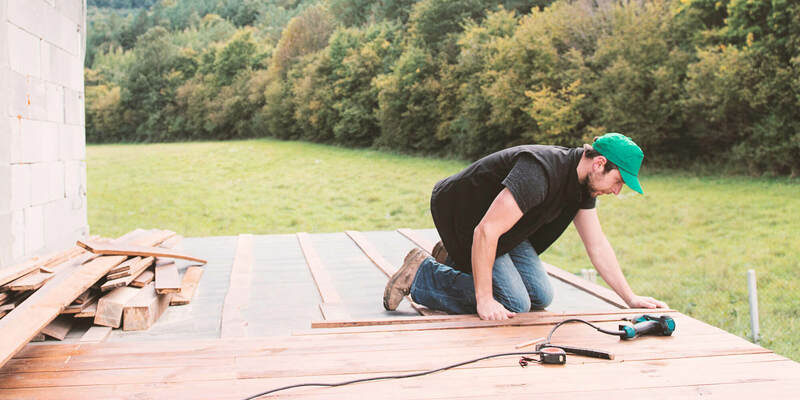 The team’s areas of expertise include deck repair and maintenance, structural repairs, light plumbing and electrical work, kitchen and bathroom remodeling, demolition, small additions, and more. Home Worx family-owned and operated, and the owner has more than 10 years of experience in general construction. Jeppson Enterprises is a Bellevue handyman and general contractor serving residents and businesses in the Puget Sound area. Services include roofing, kitchen and bath remodel, insulation, weatherproofing, tub and shower grouting, roof and gutter cleaning, tile and countertops, and more. Jeppson Enterprises offers free estimates and is licensed and bonded. Organize It of Puget Sound has served the Greater Seattle area since 2002. Handyman services include pressure washing, toilet, faucet, and sink repair, exterior painting, fence painting and staining, trash removal and disposal, garage shelving installation, and general repairs and installations. Organize It of Puget Sound offers free estimates and is licensed, bonded, and insured. Since 2006, Pontual Services has offered professional, commercial, and residential cleaning and maintenance services to residents in King County and the Greater Seattle Area. Services include maid and janitorial maintenance, spring cleaning, deep cleaning, move in/move out services, carpet cleaning, and more. Pontual Services is licensed, bonded, and insured. Queen Anne Handyman, LLC has operated in Queen Anne and the Greater Seattle Area as a handyman services provider for more than 10 years. Services include carpentry and doors, walls and sheetrock hanging, bathrooms, kitchens, office maintenance, child and pet proofing, and more. Queen Anne Handyman, LLC is licensed, bonded, and insured and family-owned and operated. Samonte Construction and Remodel LLC is a Bothell handyman and general construction company founded in 2011. The team specializes in house painting, restoration, flooring, building safety and compliance, sheds and accessory building, demolition, residential stormwater and drainage systems, and more. Samonte Construction and Remodel LLC serves the entire Puget Sound Region, including King, Pierce, Kitsap, and Snohomish Counties. Solutions Today, LLC is a family-owned real estate investment company and a licensed, bonded, and insured general contractor. The team buys, rehabilitates, and sells properties and has more than 30 years of investment experience. The team's handyman has worked as a carpenter, arborist, deck builder, concrete flat worker, truss builder and supervisor, lumber yard worker, new home superintendent, and home inspector. Solutions Today serves Edmonds, Lynnwood, Mountlake Terrace, Everett, Bothell, South Snohomish County and North King County. White Glove Home Improvement, LLC is a licensed, bonded, and insured general contractor and offers handyman services to residents, property owners, and real estate agents in the Puget Sound area. The team’s areas of expertise include minor plumbing and electrical work, aging in place modifications, pest control, product assembly, drywall, interior and exterior painting, and more. White Glove Home Improvement is accredited by the Better Business Bureau and earned an Angie’s List Super Service Award in 2014.